C-ko is the daughter of a intergalactic corporate executive. She is kidnapped by Grash and Raiza. 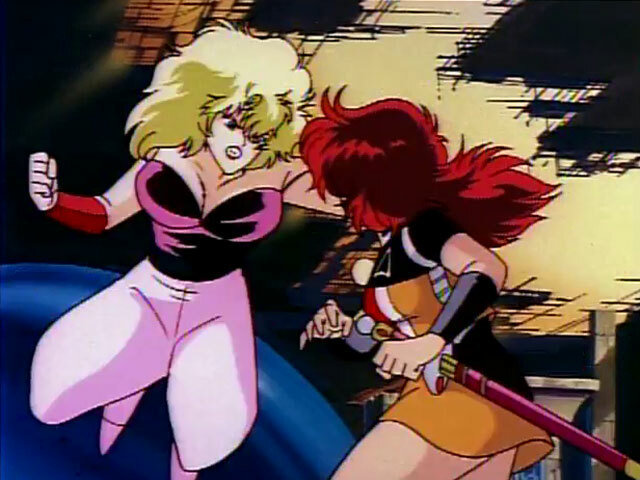 Grash's ship crash-lands on a desert planet where A-ko and B-ko are making ends meet through scavenging. C-ko literally drops in on A-ko and B-ko, and complicates their life together. This is a 2-episode OVA mini series. Although with each episode being 50 minutes long, it's more like 2 movies. Anyhow, it's refreshing that it goes a whole different direction and dives deeper into sci-fi. 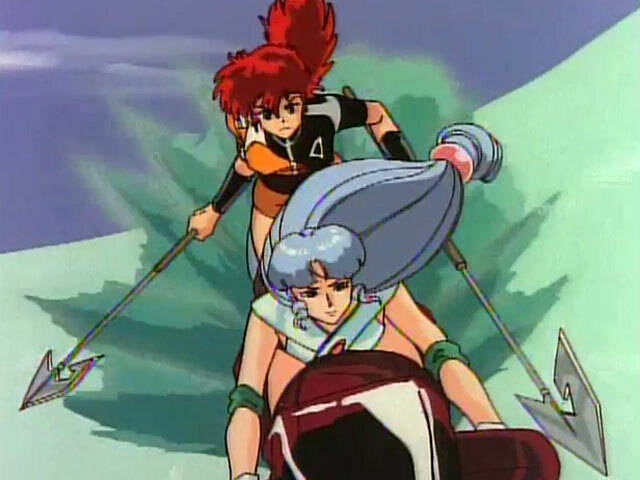 It carries all the humor and bickering we love from the previous Project A-ko's. There are more giant eyes and exaggerated smirks than ever before! 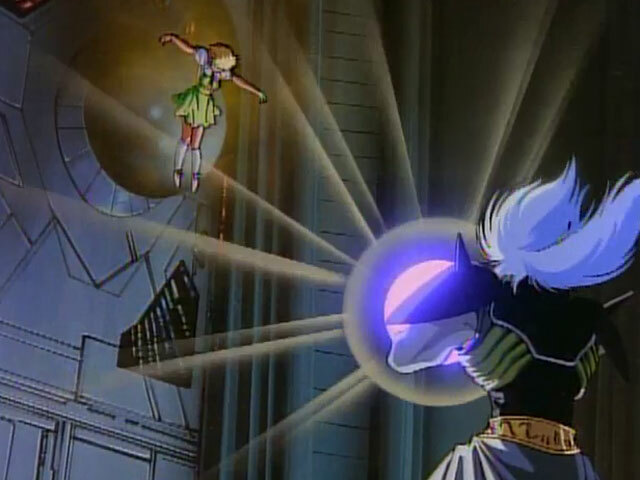 As expected, we see awesome demonstrations of A-ko's superhuman strength and B-ko's ingenuity; and C-ko being loud and obnoxious. It's a very entertaining flick, I recommend it! 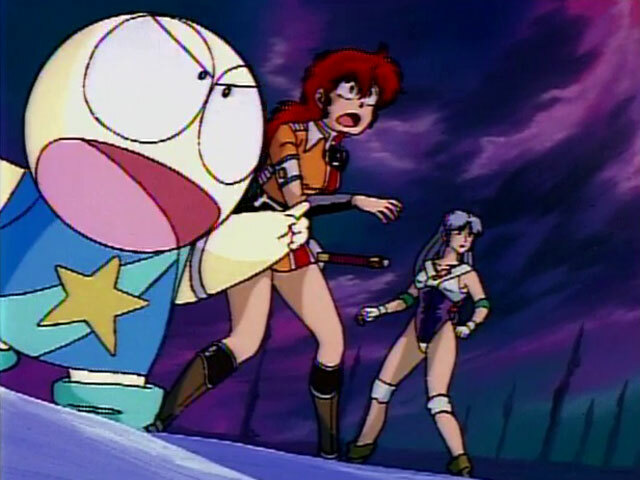 A-ko and B-ko get a surprise guest, then they're forced to fight space bandits.